When you user the pcap query utility to extract pcap data, the utility creates a libpcap-compliant pcap file in the current working directory. You can open the libpcap-compliant pcap file with any third-party tool that supports the file type. For example, you can load Wireshark and choose File > Open. 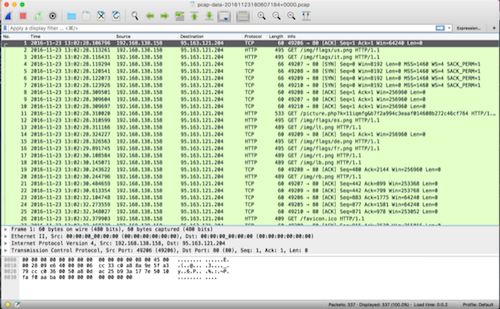 Wireshark will load the pcap file.